U.S. regulators have approved a “fix” for 38,000 Volkswagen Auto Group 3.0-liter diesel SUVs, which should clean up some of the hundreds of thousands of deceptive emissions-spewing diesels in the U.S. and potentially save the company $1 billion. 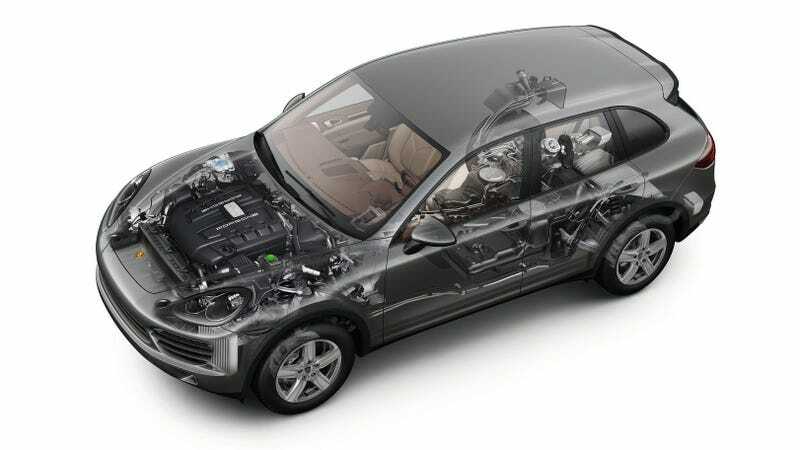 The latest “emissions modifications” concerning 38,000 SUVs with the 3.0-liter diesel engine in the U.S. include the 2013 to 2016 Volkswagen Touareg models, 2013 to 2016 Porsche Cayenne models and 2013 to 2015 Audi Q7 models, first reported by Reuters and later confirmed by the EPA. Newer models reportedly only need a software upgrade, while some of the older models will require both software and hardware. This new “fix” follows a string of previous approvals for emissions modifications to VAG vehicles, including 2012 to 2014 VW Passat diesel vehicles back in May, and 2009 to 2014 Jetta, Golf, Beetle, and Audi A3 diesel vehicles approved for a fix back in July. Last month, the company revealed it would need to pay out an additional $3 billion for emissions modifications on hundreds of thousands of 2.0-liter diesel cars in the U.S., floating its sum Dieselgate bill to comfortably around $30 billion (so far), not to mention all of the investments it’s putting into making new cars that... aren’t diesels.